The Cuban Sandwich is a Florida favorite that started as a Cuban take on the typical ham and cheese sandwich in immigrant communities such as Key West, Miami and Tampa. The addition of pulled-pork with the standard ham and swiss is the perfect sandwich, made complete with the zing of pickles and mustard inside warm, pressed Cuban bread. 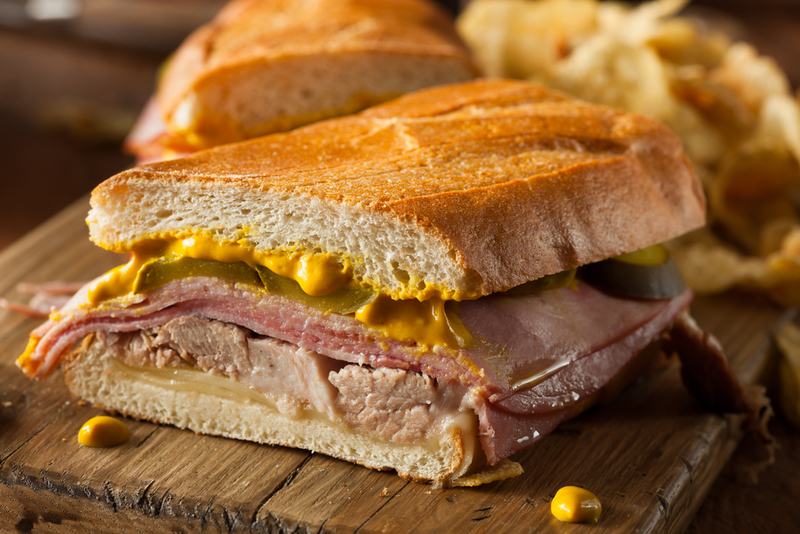 While in Key West, make sure to designate at least one lunch meal to the Cuban Sandwich, which can be found in delis and Cuban restaurants around the island. Here we’ve rounded up the top 5 places for a Cuban sandwich across the island. Don’t let this casual counter space fool you -- they serve up big flavors in their two Key West locations. Cuban Coffee Queen has the best coffee on the island, and also offers fresh smoothies and a great, pressed Cuban sandwich. The bread is notably good at Cuban Coffee Queen. Check them out at their original location (pick-up only) 284 Margaret Street or at their new spot (dine-in available) at 5 Key Lime Square.